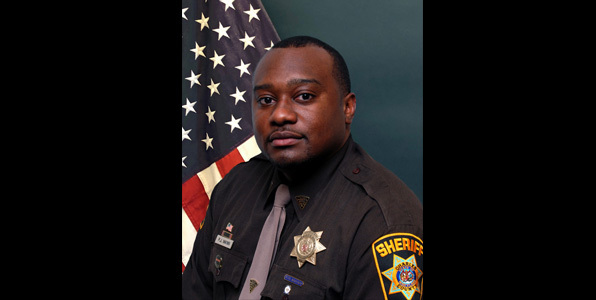 Statement Regarding Death Investigation of Off-Duty Charles County Sheriff’s Officer: Charles County Sheriff Troy D. Berry is deeply saddened to announce the untimely death of Corporal Patrick “P.J.” Mann, a school resource officer assigned to St. Charles High School in Waldorf. Cpl. Mann was found deceased inside his personal vehicle last night after it ran off the roadway in the area of Route 210 in Accokeek in Prince George’s County. His death is being investigated by the PGPD. Cpl. Mann began his career with the Charles County Sheriff’s Office in 2005. He worked in patrol and then in 2008 was transferred to the School Resource Unit. He previously worked at Matthew Henson Middle School and J.C. Parks Elementary School before being assigned to St. Charles High School where he has served since it opened in 2014. In addition, he covered Mary B. Neal Elementary School. “P.J. was a great school resource officer who was dedicated to the safety and well-being of students. He was beloved by everyone who knew him. He was invested in the success of students and was a part of the Distinguished Dozen program in which he dedicated his time to mentoring a select group of students on academics, manners, life-skills and so much more. We are in the process of gathering more details, but for now I simply ask that you keep P.J., his family, his school resource family, students and staff with Charles County Public Schools, and his brothers and sisters at the Charles County Sheriff’s Office in your thoughts and prayers,” said Sheriff Berry.